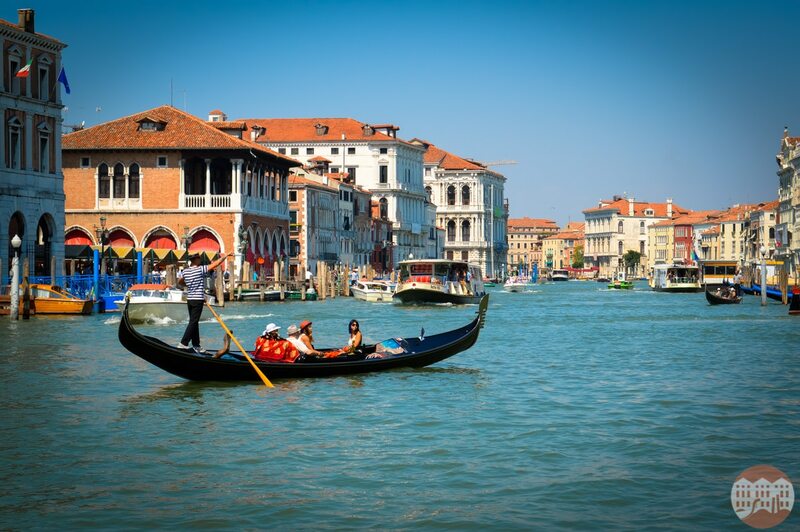 The Gran Canal is the spine of Venice and the arteries of navigation that connect the extremities of the city and the only real water boulevard to admire the facades of the beautiful Venetian Palaces. The Grand Canal is almost four kilometers long and remains one of the most incredible itineraries in the world to travel in any embarkation. The choices to cross the canal are numerous in fact, from public transportation, taxi, gondola (for the more fortunate) and traditional boats. But to navigate the Grand Canal represents always and anyway a unique experience. A long “blue carpet” so to say, on the Grand Canal that represents the history of Venice and guarantees an incomparable trip through some of the most beautiful homes of the past and present, enveloped by the magnificent facades of the palaces with their decorations and architectural features. It would seem strange, but probably the best way to visit the marvelous Grand Canal would be to take the vaporetto (waterbus) line 1 which is the slowest, possibly at dawn from starting point Ple. Roma, and let yourself be transported all the way to the San Marco Basin in the silence for the city that is still sleeping (ideal time to find a place to sit on the bow or stern of the vaporetto). Avoiding the traffic during the central morning hours of the day in direction San Marco and during the central afternoon hours and central evening hours towards Ple. Roma the Grand Canal reserves incredible surprises when it makes waves through the water: Venice becomes a timeless city made with shadows and contrasts and constellations of little magical lights. Apart from the only four bridges (Costituzione, Scalzi, Rialto, Accademia) that cross the Grand Canal you can’t help being taken aback by the Fontego dei Turchi, from the splendid façade of Ca’ Pesaro and Ca’ Corner della Regina, Ca’ d’Oro, the banks of The Rialto Mercato, the Fondaco dei Tedeschi, from Palazzo Pisani Moretta and the headquartes of the Universtiy of Ca’ Foscari, Palazzo Grassi, Galleria dell’Accademia, Palazzo Franchetti, Ca’ Dario all the way until entering the grandiose Basin of San Marco, where the Grand Canal ends.